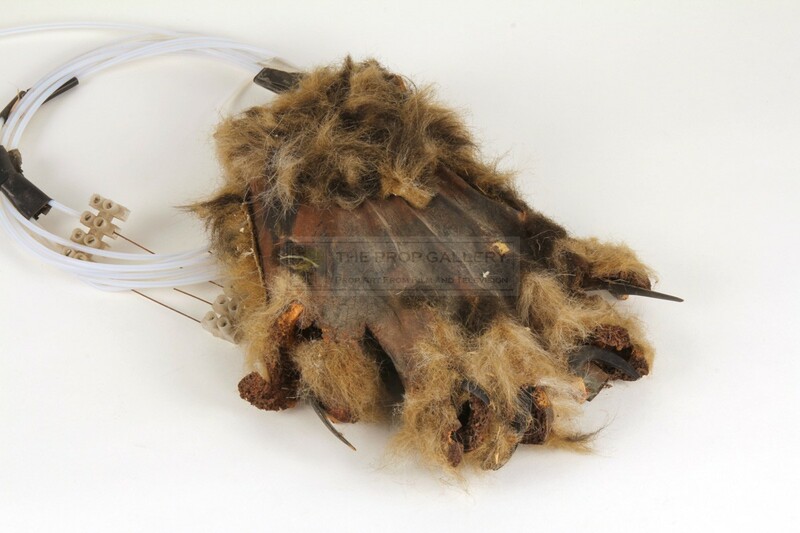 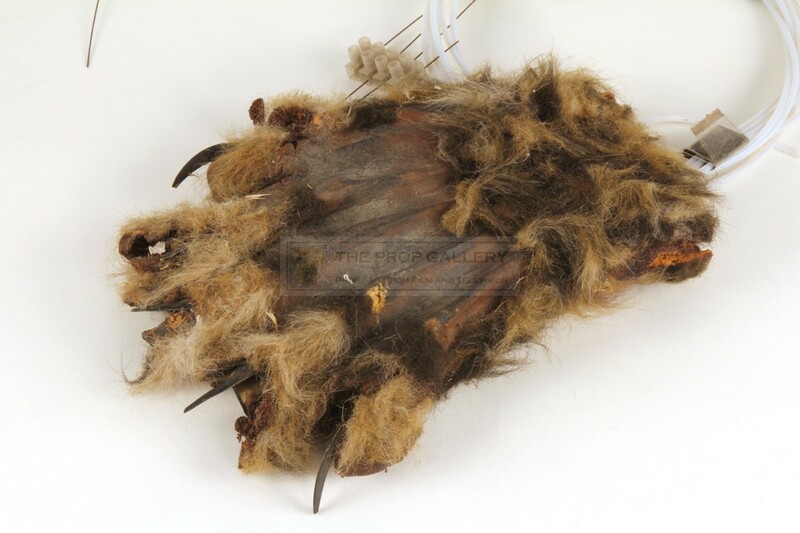 From the 1989 serial Survival starring Sylvester McCoy as The Doctor this is an original animatronic Cheetah hand used specifically for the insert shot where the Cheetah Person is seen deactivating the trap set for it by Ace (Sophie Aldred) and Shreela (Sakuntala Ramanee). The hand was created by the BBC Visual Effects Department and is constructed from foam latex dressed with fur and features five retractable claws of resin which are cable actuated and could be operated on cue. 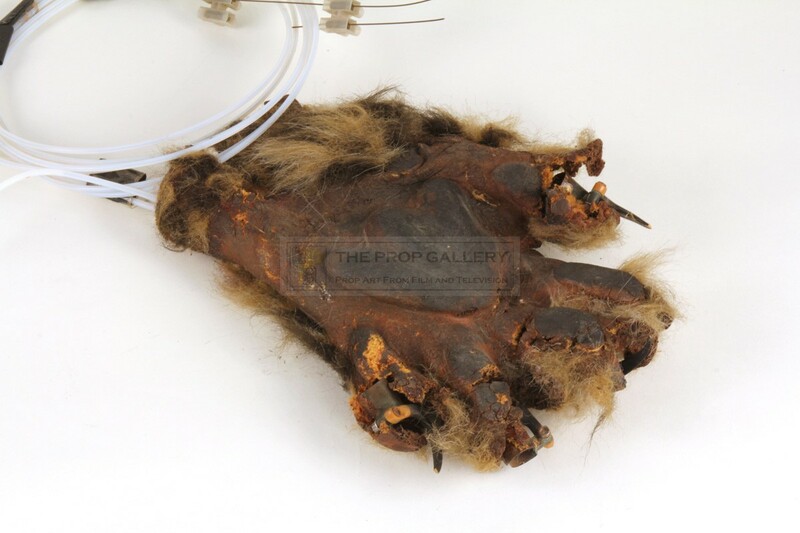 The hand measures approximately 10" x 7" and remains in largely good production used condition with the foam to the finger tips exhibiting some deterioration, remainder of hand in good supple condition with majority of original cables present. 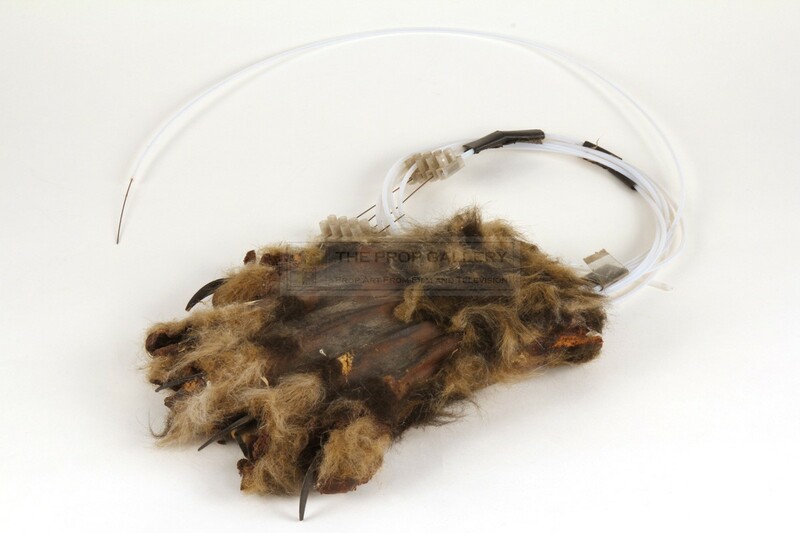 A displayable artefact from this classic science fiction series.